The future of dueling is revving up! And with it begins a new legend! Yu-Gi-Oh! 5D's! Welcome to New Domino City! Once the playground to legendary duelist Yugi Muto, this sprawling metropolis has since been transformed into a futuristic society where dueling has kicked into overdrive. With recent technological advancements made by KaibaCorp, dueling has undergone a metamorphosis that has revolutionized the makeup and pace of the game! It’s now a heart-pounding, adrenaline-filled and fuel injected competition where duelists ride supercharged hyper cycles called Duel Runners and battle it out in hi-octane contests called “Turbo Duels.” The winners and losers aren’t just separated by skill and strength… but by SPEED! 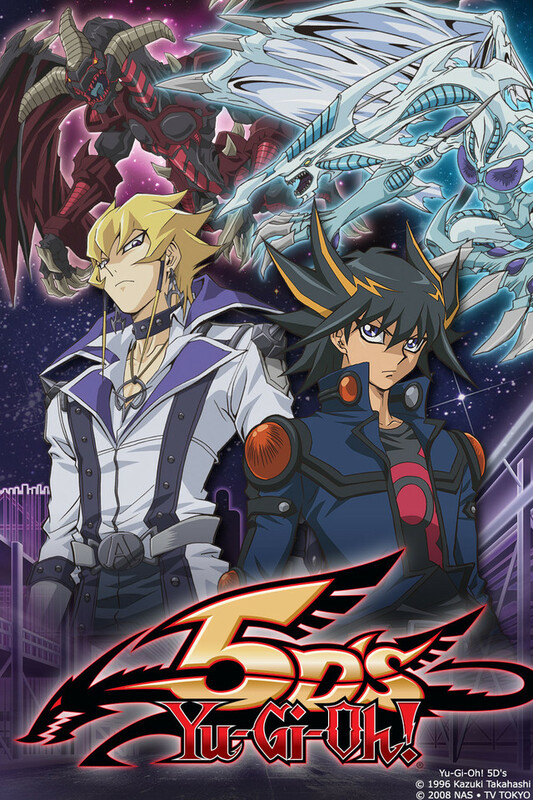 However, for five special duelists, it's not just about winning or losing anymore - it's about survival, for they are the chosen "Signers" who have been marked by destiny to uncover the secrets of the five dragons! With new cards, new players and new adventures, you’d better start your engines and get set to duel! Yu-Gi-Oh! 5D's – don’t let the revolution pass you by!